Plastic tube with a flip cap. The bait is fixed to the cap and is protected from the weather and from animals other than rodents. 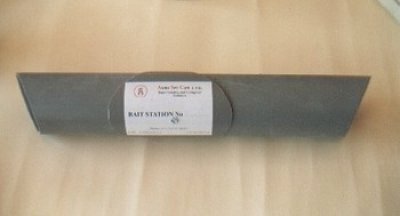 The bait is accessible from mice and rats. The tube has holes for fixing with screws and comes with stickers for numbering and labeling. Bait station with a key. It is impossible to open the station for anyone who does not have the key. So there is no access to children and anyone who has a specific job with the station. The bait is fixed on a special bar and the station’s design attracts rodents to enter. Manufactured in two sizes for mice and rats. For indoors use in areas handling foodstuff (manufacturers, kitchens, workshops, warehouses) where the use of poisonous baits is prohibited. 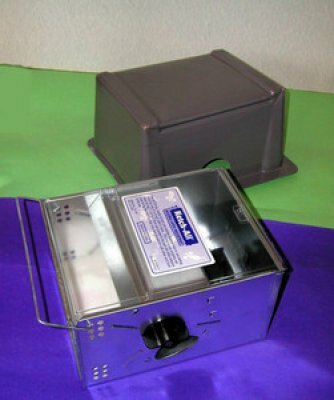 The metal trap allows the entry of mice but not their exit with the use of special plates. This is the most common trap in the world for the capture of rodents. 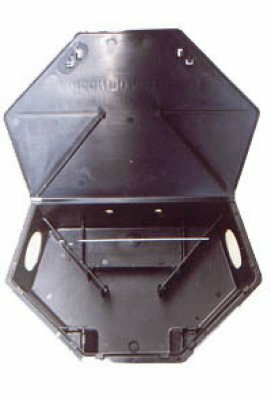 The plastic trap has the same function and is used in environments with water or moisture. Trap for rodents’ capture. It does not use poison and is suitable for every HACCP system. Also available with transparent lid. Has also a metal protective cover for places with moving trucks or forklifts. Within the triangular area of the ​​Stick All trap the pheromone trap for crawling “Pantry Patrol” can be attached. So this trap has dual usage. Trap for rodents’ capture. It does not use poison and is suitable for every HACCP system.